Large trucks are an essential part of interstate commerce, traveling hundreds of billions of miles each year. It should come as no surprise, then, that long hours and many miles covered can result in catastrophic truck accidents. When one occurs, it’s important to have an experienced Salt Lake City, UT auto collision lawyer on your side. There are many laws in place to help prevent dangerous driving situations for people who operate commercial vehicles. Hours of service regulations are particularly helpful in preventing cases of driver fatigue. We’d like to take a moment to consider these hours of safety regulations and why violations of them can contribute to large truck crashes. Driver fatigue may be more dangerous than you think. Operating a vehicle while you are drowsy or exhausted means that your reflexes, coordination, and decision-making skills are severely impaired. You may not be able to react in time to hazards on the road. Worse, you may simply fall asleep behind the wheel. It’s no wonder that some people consider driver fatigue to be just as dangerous as drunk driving. Truck drivers work many hours during a given week for long stretches of time. If they suffer from fatigue, this can result in catastrophic collisions. This is why hours of service regulations exist. Hours of service regulations essentially provide limits on how long a truck driver can legally operate their vehicle. This allows truck drivers to get a proper amount of rest, preventing driver fatigue from occurring. The laws were developed by the Federal Motor Carrier Safety Administration (FMCSA). 14-Hour Driving Window - A truck can only drive during a window of 14 consecutive hours. 11-Hour Driving Limit - During that 14-hour window, a truck driver may only drive for 11 hours, with a mandatory off-duty break of 30 minutes for every 8 hours worked. Truck drivers must log their on-duty and off-duty hours to ensure they are abiding by these safety regulations. What Happens When Hours of Service Are Violated? If a truck driver violates these hours of service violations, they may be subject to state and local fines, civil penalties, and federal criminal penalties depending on the nature of the violation. In addition, a driver’s safety rating may be negatively impacted and they may be placed out of service. Even with these regulations and penalties in place, keep in mind that driver fatigue can still affect truck drivers. Given the reality of these dangers, it’s important that you drive cautiously around large trucks, particularly at night or early in the morning. 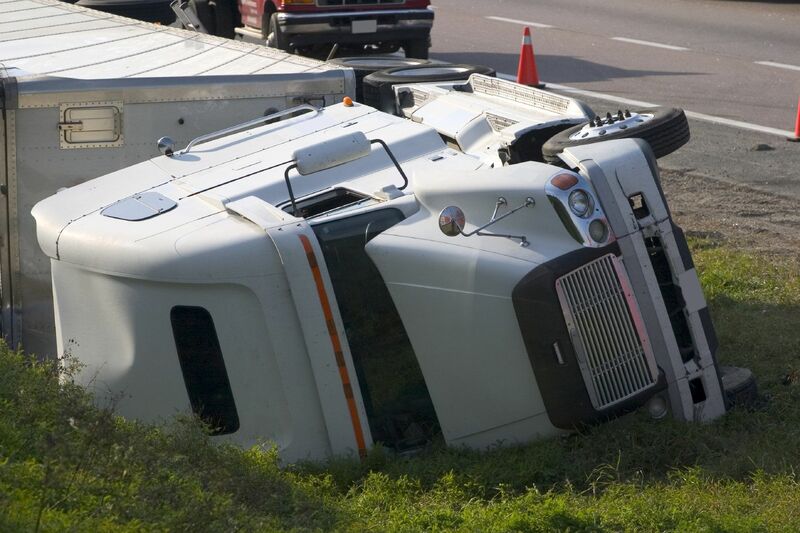 For more information about your legal rights and options following a large truck accident, be sure to contact an experienced injury accident lawyer. We will discuss these matters with you in much greater detail and help you in your time of legal need.